The time has come when all the permanent ice houses are off the lakes. There is far less traffic on the lakes. 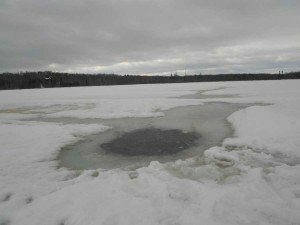 With spring just around the corner and warm temperatures this past week and more certainly to come, today I want to remind everyone about late ice safety and the effect that the warm spring thaw has on the lakes. if you will, on top of the ice. 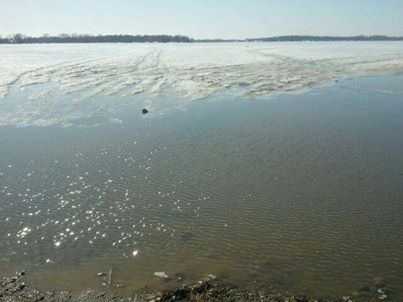 Even with less than a week of these warm temperatures, travel on the lakes has already come to a screeching halt, and very soon we will need to pull out the rubber boots, cleats, and possibly the waders to get on that hot panfish bite. The fishing picks up a lot this time of year because the melting snow and ice on the shorelines helps bring more oxygen into the lakes. The fish are heading into the shallows for their pre-spawn mode: out searching for their spawning grounds. Keep in mind that even with nearly 3 feet of ice on most lakes, the moving water on top of the ice helps melt the ice faster. The ice holes that were dug out the day before have gone from an 8 inch hole to a 12 inch hole. With overnights dipping just below freezing it creates a layer of ice that looks “safe”. The good news is that the shorelines tend to open up long before the middle of the lake, and folks will have a better chance at breaking through in the shallower water rather than out in deeper water. Keep in mind, this time of year those big fault lines or cracks are starting to open up as well, running water between them and separating big ice islands which drift apart from each other. This can create a dangerous situation if you do not plan ahead and are aware of the conditions and their surroundings. Be sure to always make sure you have not only an escape route but a backup escape route as well as conditions can and will change quickly, especially if caught on a separated ice island. 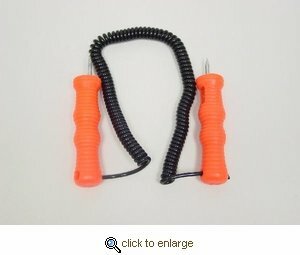 One of the most important items that someone can bring with during both early and late ice fishing is not a cell phone. (If you fall in and get wet, what good is it going to do?) 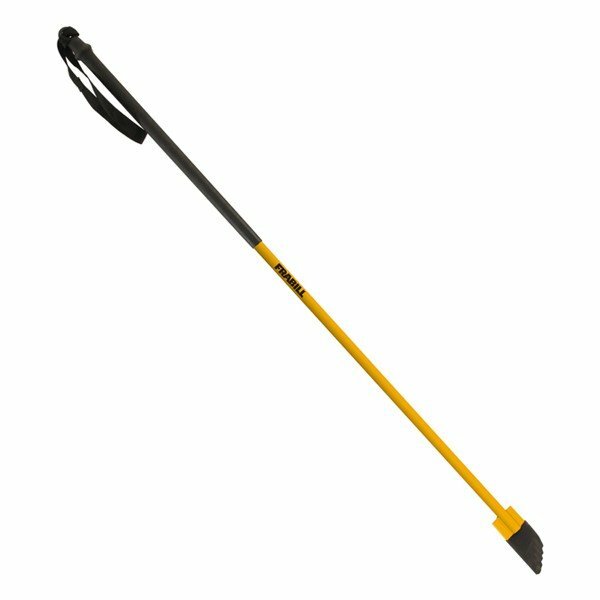 Instead, a person should always bring a pair of ice picks, an ice chisel to test out the ice, not to mention a life jacket and a buddy! Pay extra attention to the color of the ice; the color changes as it melts and gets weaker and turns darker. It develops “air pockets” in it. Even if it is still 2 feet of ice, your ice auger will rip through it with no effort whatsoever. 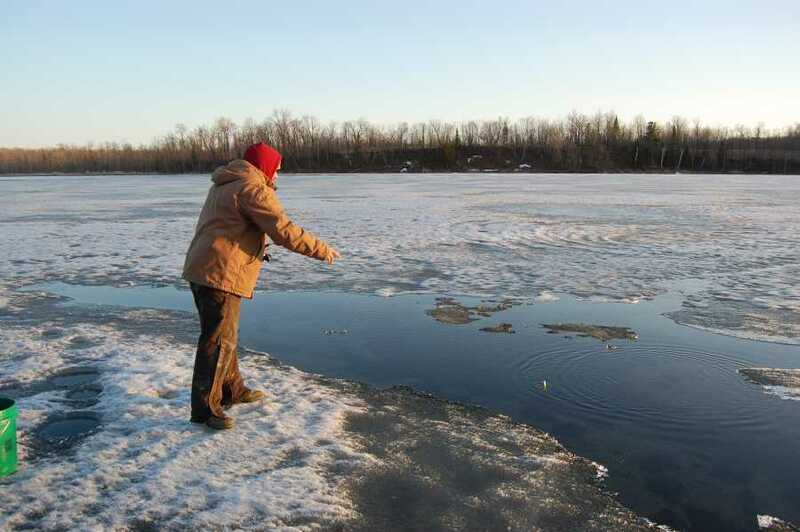 We still have a while left of ice fishing, just as long as the temperatures do not continue to get hotter, however the ice conditions will change overnight. What was a spot that was fine to go to today may not be safe to go to tomorrow. Take the extra steps to stay safe out there fishing, as catching an 11 inch fish, is not worth risking your life. Stay safe, and good luck fishing!